Joining us today are Jamey Edgerton and Ched Wagner from Nvestd. Jamey is the CEO and Ched is the manager. Nvsted is unique, as it is the ONLY Regulation Crowdfunding marketplace SPECIFIC to the St. Louis region and the FIRST in the nation organized by an economic development agency. Nvestd seeks to connect the region's thriving community of startups to a wider range of capital. The online portal creates investment opportunities for everyday investors. It allows people to ... See More invest in companies for as little as $100. With Jamey and Ched is Jeff Stevens. 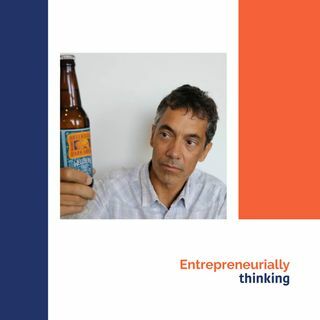 He is the founder of WellBeing Brewing Company, the country's very first brewery solely dedicated to brewing Non-Alcoholic Craft Beer.